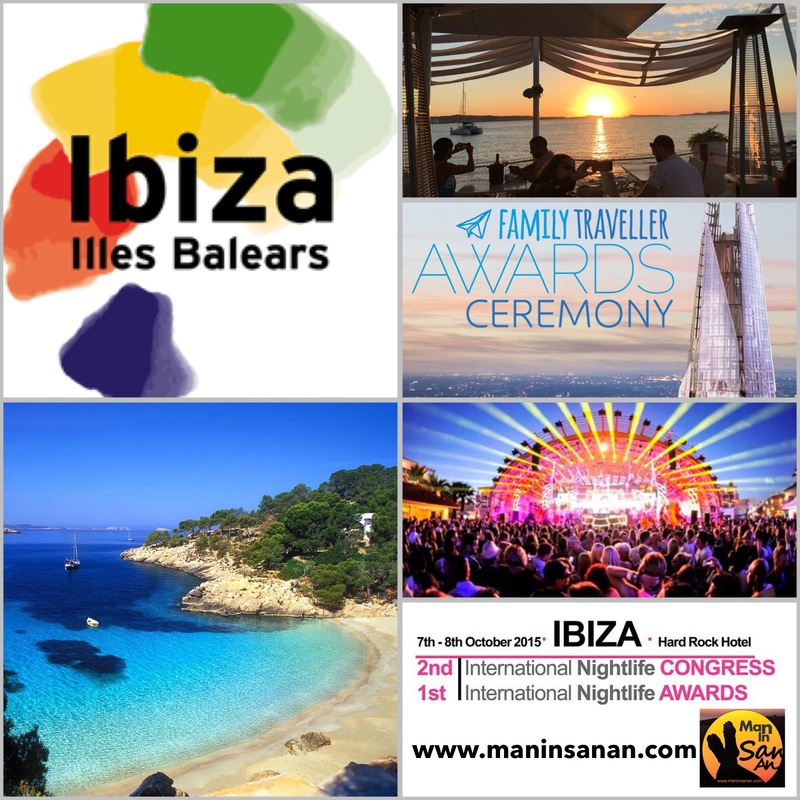 Ibiza has received 2 outstanding awards over the last week proving once again that it is a world class destination catering for all. Firstly the island was voted the “Best Short Haul Destination for Families” at the Family Traveller Awards ceremony in London. Chosen by over 20,000 readers and a panel of experts including TV presenter and writer Mariella Fostrup, TV adventurer and broadcaster Simon Reeve, The Times travel editor Jane Knight, Elle Magazine travel and lifestyle director Susan Ward Davies and Family Traveller magazine editor Jane Anderson, the awards aim to acknowledge the best of the best in all things family. Ibiza won seeing off strong competition from Tenerife, Brittany, Catalonia, The Azores, Murcia, Andorra and Soma Bay, Egypt and the Algarve. This family award may take a few by surprise but just confirms what many have known for a a long time: Ibiza is amazing for families. Then Ushuaia Ibiza received the Golden Moon award for “Best Club in the World 2015” at the International Nightlife Congress held at the Hard Rock Hotel, Ibiza over 2 days. In fact 6 of Ibiza’s super clubs made the top 20 proving again that the white isle is THE world destination for nocturnal pursuits. This was the 2nd International Nightlife Congress but the very 1st edition of the Golden Moon Awards that reward the best practices in the industry in 18 different categories. The Congress will take place annually alternating between Ibiza (odd years) and Las Vegas (even years). All destination awards are open to debate but the island can now finish off the summer season and go into winter with a self satisfied smile as it continues to gain recognition as a holiday destination that ticks all the boxes for all types of tourism.